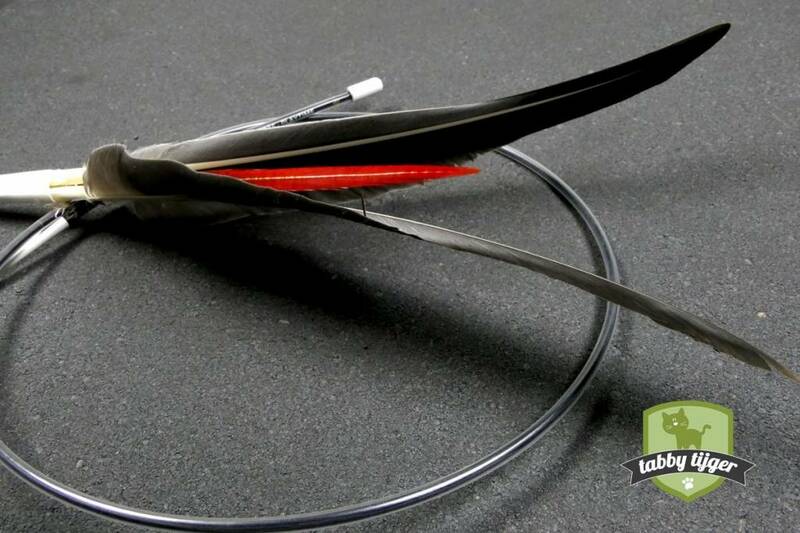 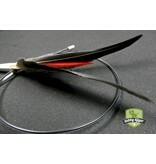 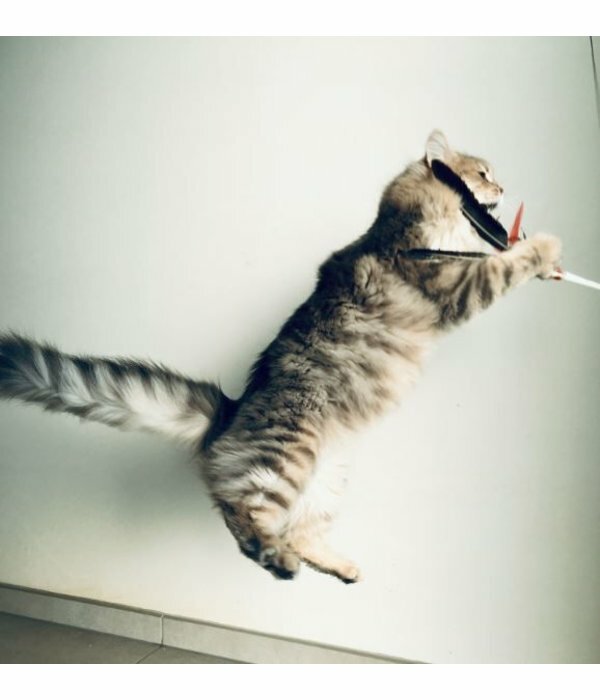 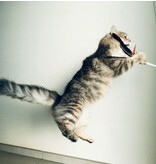 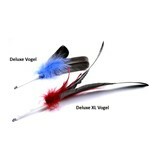 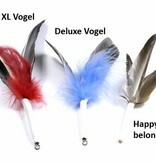 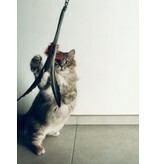 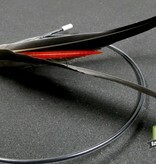 Tabby Tijger 'Instinct' rod with flying bird cat toy for fantastic fun play time with your cat! 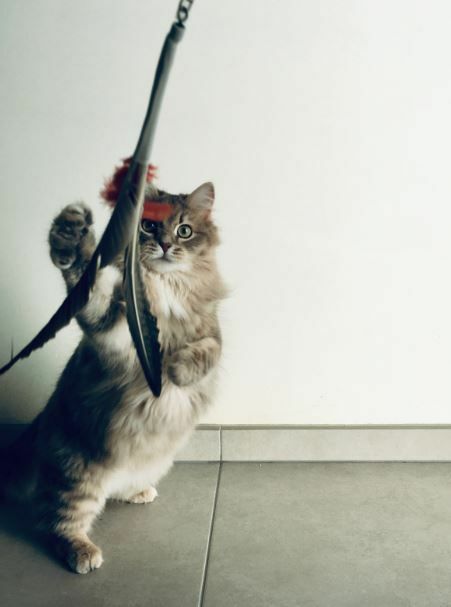 One of the best cat toys on the world market today! 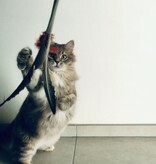 Is your cat a tiger and doe she wants to hunt even more fanatic? 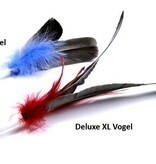 Than this XL bird is perfect for her! 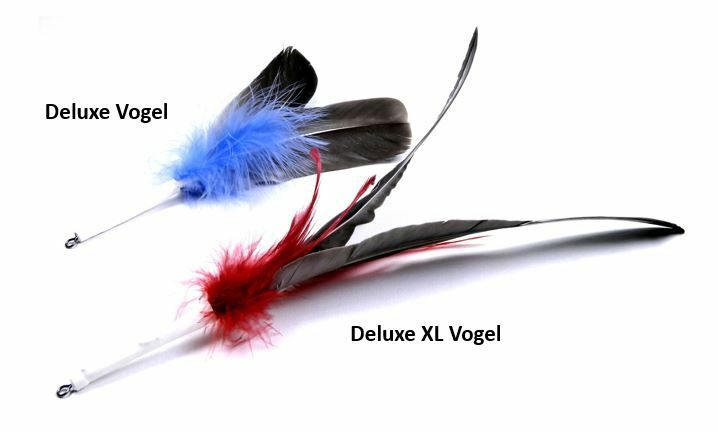 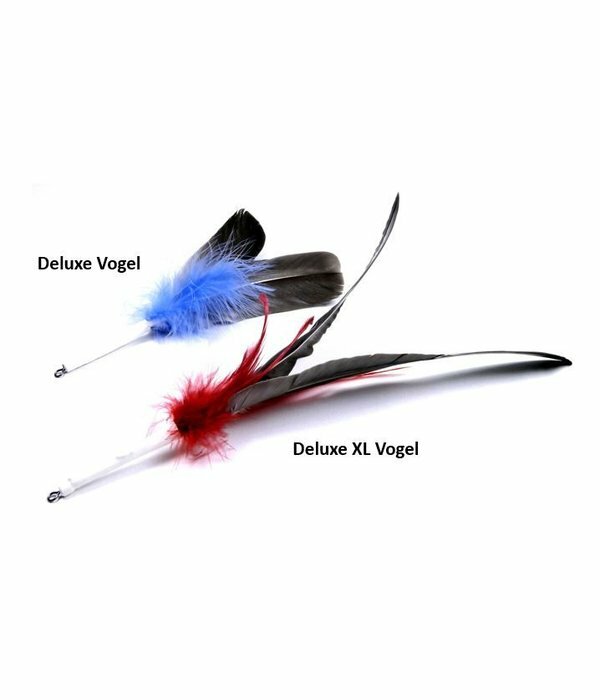 The Deluxe XL bird is 39cm big! 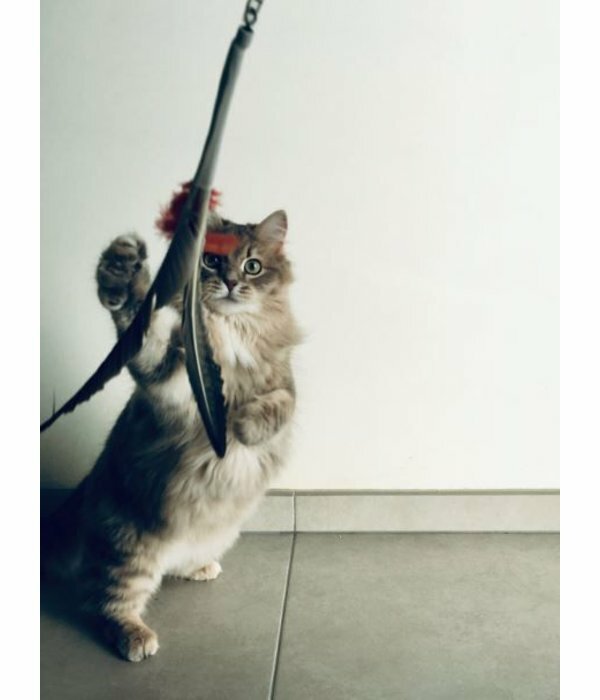 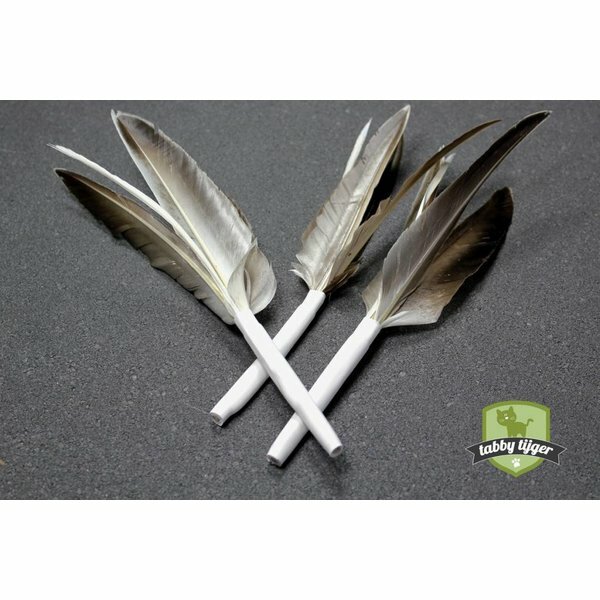 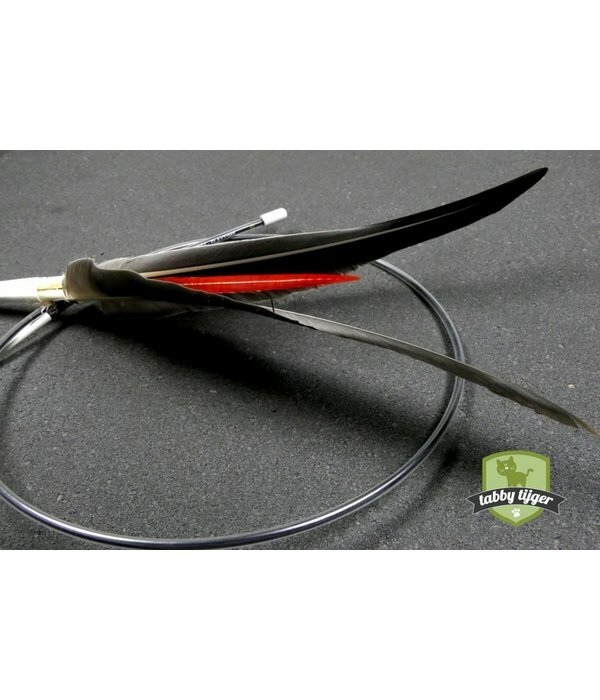 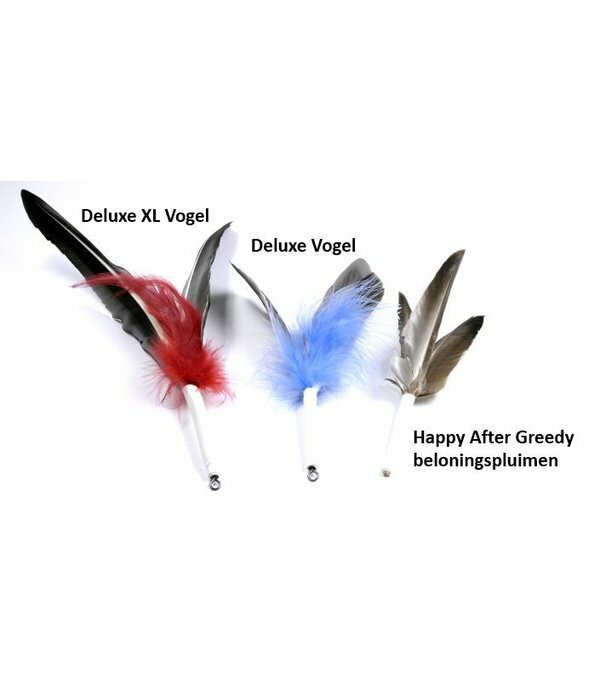 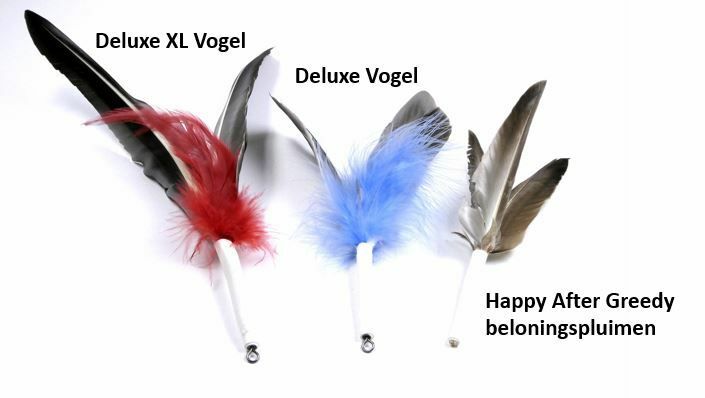 If you have not seen the Tabby Tijger Wand Toy in action with your cat then you are in for a surprise, the feather refills spin through the air simulating a flying bird and for your cat look and sound like the real thing!